While out ice skating last week I managed to fracture my elbow - which has resulted in plenty of free time but only one usable hand. So to ease my craft cravings I've been busy over on Pinterest browsing lots of pretty things and gathering some ideas for my next project. 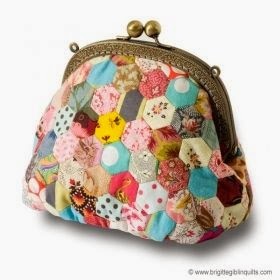 I'm hoping to do some small patchwork bits with a lovely pack of pretty small print fabrics that were a Christmas gift. 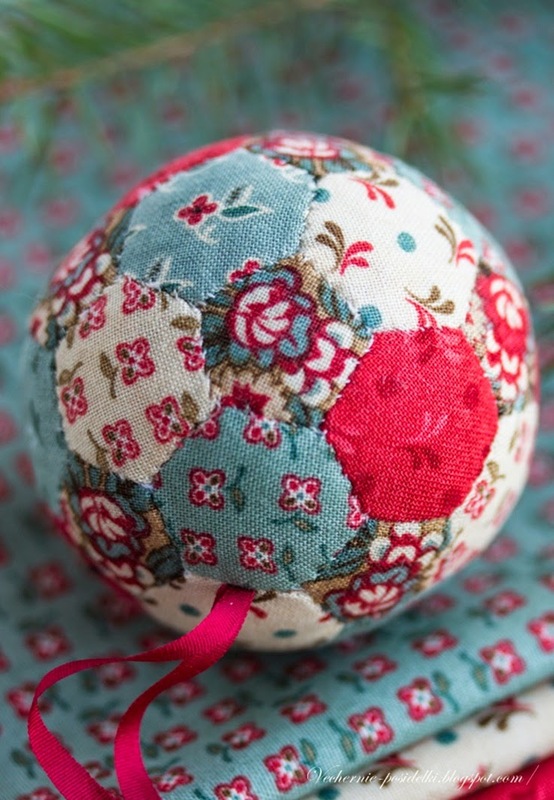 How cute is this hexagon Christmas bauble - would love to make up one of these! Image from a Polish blog here. 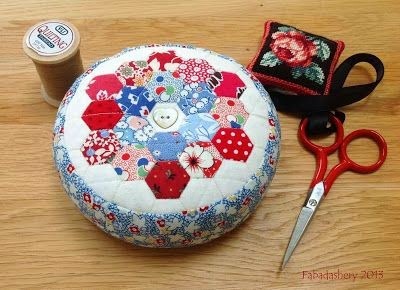 To see more of my patchwork & other crafty pin boards then have a look at my Pinterest boards. So sorry to hear about your elbow - I hope you get better soon! !